I’ve always been a hand-on kinda girl… when it comes to makeup that is. I have a cosmetology and estheticians license with the State of Mass, and, while each State has different rules, in MA you need to have a license to even touch a client. That means that even shampoo girls in Mass must have a cosmetology license. People who work at cosmetic counters, and makeup artists do not technically need to be licensed, as long as they do not touch the customer. They must use tools, brushes, sponges, cotton swabs, etc, to apply makeup. I guess I started using that thinking in my own makeup application. I figured… I’m licensed… I’ll just use my hands. For someone with as much makeup as me, I had surprisingly few makeup tools. But then I started watching makeup tutorials on YouTube for inspiration, and I saw all these cool new makeup tools. I decided to make one of my New Years Resolutions be to use more makeup tools. 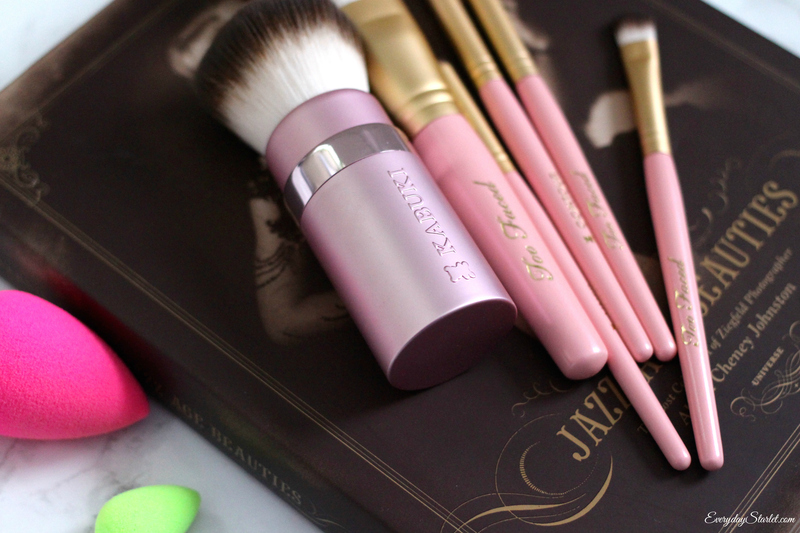 Are there any makeup tools that you couldn’t live without? Are there any that you’ve been dying to try that you would like me to try out and do a review?